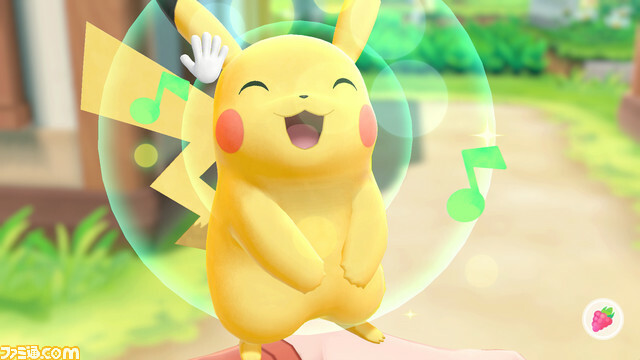 Even if they’re not considered the first “true” Pokemon titles for the Nintendo Switch, Pokemon: Let’s Go, Pikachu! and Pokemon: Let’s Go, Eevee! will still bring a strong dose of the same experience to the platform. Today, the Pokemon Company released a wealth of new information on both games along with a new trailer. Check it out below. It’s first worth noting that despite the story being the same in both games, there are a few differences aside from your first partner Pokemon. For instance, Oddish, Sandshrew and Growlithe will only be found in the wild in Pokemon: Let’s Go, Pikachu! If you want to find Bellsprout, Vulpix and Meowth, then they’re only located in the wild in Pokemon: Let’s Go, Eevee! In order to catch the Pokemon, the Joy-Con can be waved to simulate throwing a Poke Ball. Pokemon will act aggressive but if you’ve experienced Pokemon GO, then capturing in these games is pretty similar. Those playing in handheld mode didn’t worry though as they can move the Switch to aim and throw Poke Balls with the A button. From there, timing and where the Poke Ball lands will determine the success of capture. There are tons of other details like battling Pokemon trainers, which is similar to the fights in the Pokemon RPGs; exploring the Kanto Region in all its 3D glory; facing Gym Leaders like Brock (Pewter City) and Misty (Cerulean City); and much more. Pokemon: Let’s Go, Pikachu! and Pokemon: Let’s Go, Eevee! release on November 16th for Nintendo Switch.